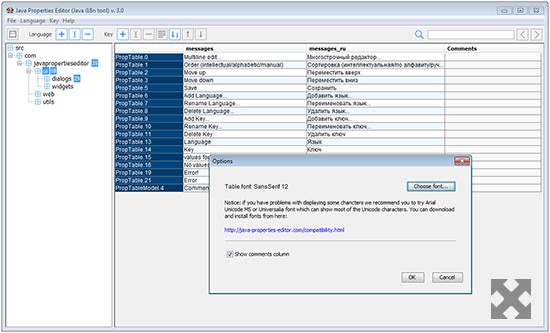 The third version of popular tool for Java (J2SE & J2EE) applications localization and internationalization. 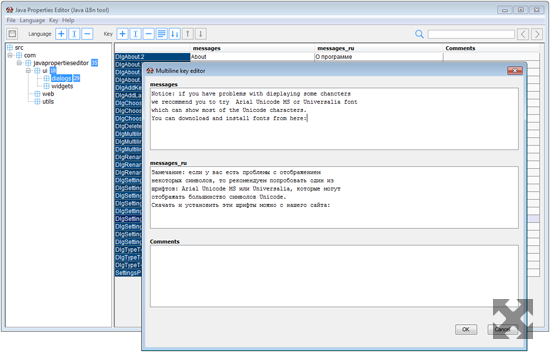 Java Properties Editor is designed to avoid problems with translating Java packages. It was developed to be comfortable and simple both for programmers and translators. 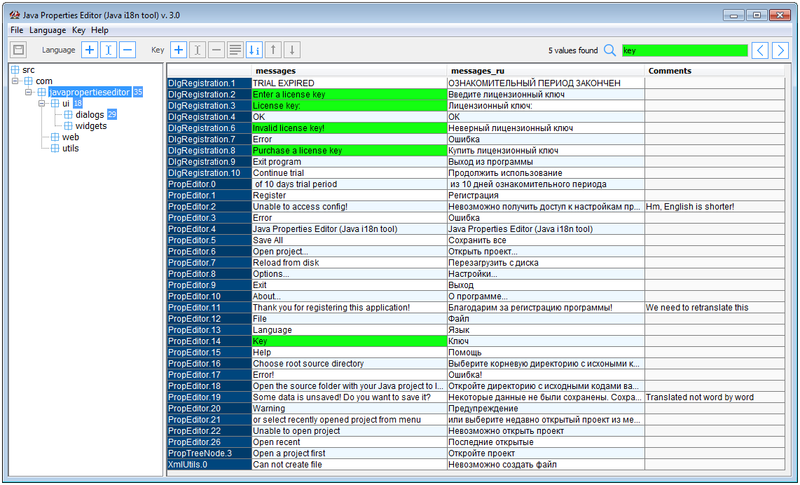 All packages of your project are grouped in one project tree even if you prefer to use Java Properties Editor Standalone edition. 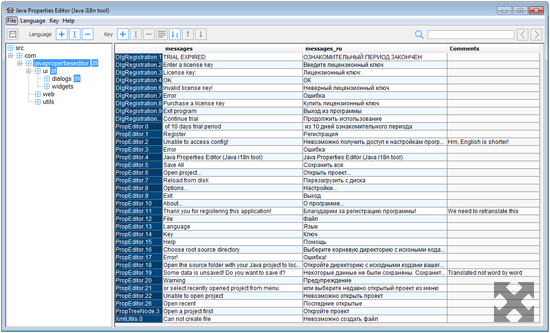 In Eclipse edition standard project explorer will be used. 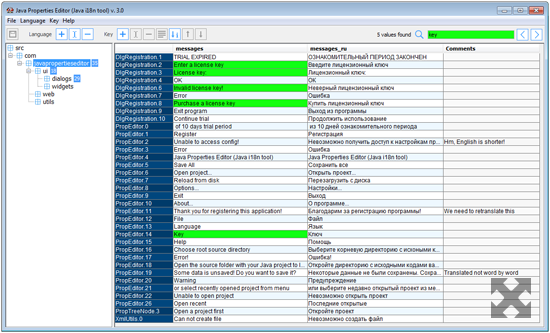 Easely edit keys' values in the table, add new keys, remove any of them and use multiline editor from context menu using the toolbar. Three ways of key orderings are available for you: alphabetic, intellectual ("human sorting") and manual. You will be satisfied with intellectual sorting, but you also can manually shuffle the lines. Java Properties Editor has intelleactual keys naming algorithm which allows to add new keys supporting Eclipse-style enumeration. Actually it suggestes a new key with next number after dot. Most of times you will just choose the name for the key, not type it using keyboard. 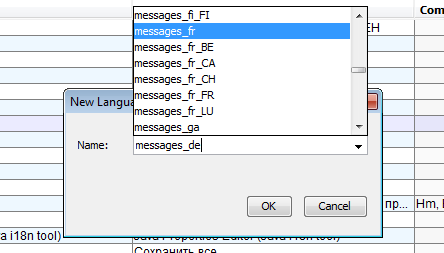 The add/rename language dialog contains full languages list to avoid mispellings. 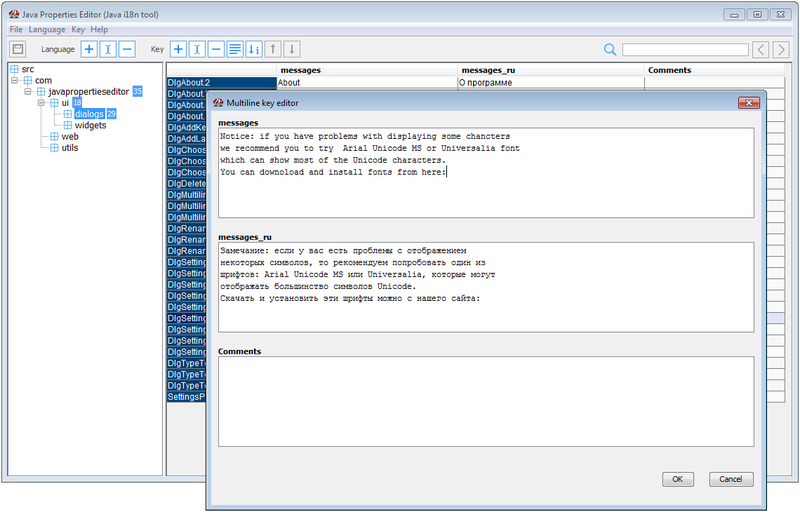 If you are a programmer and want to localize your software right from your IDE, use Java Properties Editor as Eclipse plugin. Follow simple installation instructions on Download page to install it. Edit in multiline editor any of your texts. All multiline string are displayed with cursive in the main table. 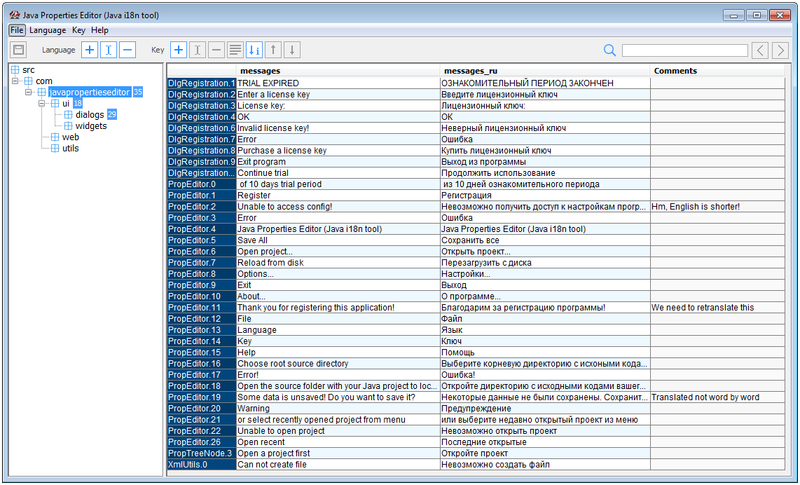 You can simply call this editor using toolbar or context menu. Simple searching all over all keys, keys&apos; and comments using one text box. It will highlight all found cells and show you number of found items.